The application of electricity for the theatre, concert stage, television studio, or any other production environment differs from that of a residence or commercial building. Electricity for the Entertainment Electrician & Technician is the only reference on the market that covers these differences, explaining what entertainment electricians and technicians need to know and why. It not only reinforces the fundamentals of electricity, power distribution, and electrical safety, but also explains the latest developments in technology for the live entertainment professional and aspiring professional. 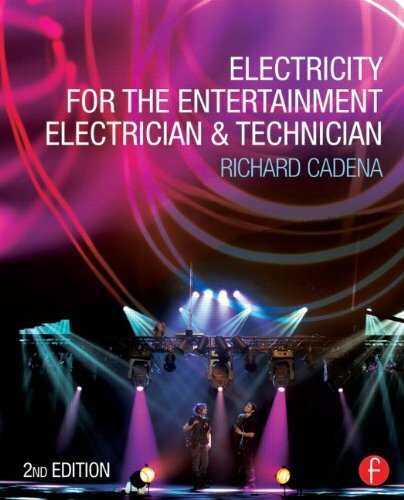 Written by an Entertainment Technician Certification Program (ETCP) Recognized trainer, this reference supports practicing electricians and technicians, and provides new technicians the assistance needed for a successful career in the entertainment industry. Fully updated, the second edition contains new information on systems, protocols, regulations, and safety standards, both domestic and international. Additional resources, including conversion tables, voltage spreadsheets, articles from Lighting & Sound International, Lighting & Sound America, and Protocol, and animations and illustrations depicting electricity and electric power distribution developed for the author‘s workshops, can be found on the companion website www.entertainmentelectricity.com.